Hello! My name is Molly and I am a 7 year old mix (your guess is as good as mine!) with a love for adventure! I can’t wait to experience more things whether it be walking, running, hiking, or shucks, even para-sailing. 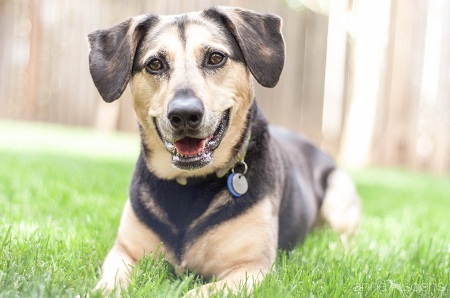 I am fairly active and love to get out at least once a day for a long walk, but in the evening I am just the sweetest, most well-mannered, snuggle companion you can ask for! I am completely potty trained and crate trained, and love to learn new tricks. Carrots and cheese are just two of my favorite foods and I will learn just about any trick to get them – I am one super smart girl! Definitely smart enough to know that I will make the perfect pooch for the right person, could that person be you? If so then fill out an application at pixieproject.org so we can schedule a meet and greet! I am fixed, vaccinated and microchipped. My adoption fee is $180. I am currently living in foster care.